Ascending Butterfly: March 2010: The Ascending Butterfly Book Club review & GIVEAWAY - 'The Shift' by Dr. Wayne W. Dyer - Win the Featured Book in the Spotlight! March 2010: The Ascending Butterfly Book Club review & GIVEAWAY - 'The Shift' by Dr. Wayne W. Dyer - Win the Featured Book in the Spotlight! This giveaway is now CLOSED. We are NOT accepting new entries. Thanks so much to our wonderful sponsor Dr. Wayne Dyer & Hay House Radio. We look forward to working with you again! The winner is Trish! Remember: There are still some great giveaways active on the upper right hand side of the page! New book 'The Shift - Taking Your Life From Ambition to Meaning' by Dr. Wayne Dyer is a companion book to the movie of the same name - it illustrates how and why to make the move from ambition to meaning. The Shift, Dr. Dyer’s first feature film, is now on DVD. Dr. Dyer holds a doctorate in educational counseling from Wayne State University and was an associate professor at St. John’s University in New York. Just like Ascending Butterfly strives to share inspiration and how that inspiration applies to daily living, one of my favorite sources of daily inspiration is Dr. Dyer's 'Daily Affirmations' which I have visited daily since they went live. I strongly believe that how you choose to start your day is what will greatly shape it! I have always devoured Dr. Wayne Dyer's books and teachings for the way they speak to me personally, and because plain and simple, he has an amazing story. Dr. Dyer transcended the kinds of setbacks most us would feel justified to use as an excuse not to move forward in life. He hasn't done that. And he's generous enough to share not only the 'what's' of his life, but the 'how'. It never ceases to amaze me how open and available Dr. Dyer makes himself and his life to his fans. There comes a point in life where 'more' doesn't fill the need, where 'more' will no longer satiate the hunger. And that is YOUR 'shift'. Are you experiencing your shift now? Have you begun 'The Shift' in your own life? That's when everything within me 'shifted'. I needed to stop. I needed to make the rollercoaster ride of ambition come to a crashing halt before it killed me! I began seeking meaning instead of paychecks. I began seeking fulfillment both personally/spiritually and then professionally and things began to slowly fall into place. I'm not going to say I'm exactly where I want to be right now, but I'm a lot closer than I was before. Reading this book reminded me that I still have quite a ways to go. That my 'shift' isn't exactly complete yet. But that's good, it shouldn't be! I can't say what 'The Shift' will do for you, but I do know what it has done for me. It has forced me to evaluate the track I am on and project forward to where I want to be. I hope that is what you get from 'The Shift'. Are you ready to 'shift'? How to Win: (1) You must be a PUBLIC follower of Ascending Butterfly to be eligible for this and all giveaways. Indicate in your entry that you follow (if your 'comment name/user id' differs from your profile id, please let me know what name you follow under) and (2) Share a time in your life when you experienced a 'shift'. A shift in your thinking or a shift in your desires or even a shift in your circumstances. Or talk about what was going on in your life the first time you asked yourself, 'what am I here for?' or 'Is this all there is'? (no word minimums or maximums, you can share as much as you'd like!) (3) You must also leave your email address somewhere in your comment. (You can format it this way for security, example: ascendingbutterfly AT mail host DOT com). (If your email is clearly visible in your profile, you can just say so, that's OK!) Please follow the easy 1, 2, 3 steps to winning! This giveaway is open to USA residents who are 18 years of age or older. I had a shift in my life after the death of my Mother this past year, it has shown me that life is a series of smaller moments, that leads to the fullness of life and that we must not look at the aquiring of stuff but the living/loving that really matters, in the end nothing but love goes with us. I had a shift in my thinking or as I call it a revelation when I was in prison and had my only child while incarcerated. While at the hospital looking into his eyes and realizing that he was to be taken away at any moment and that I would not see him or have him for five more years I truly realized that my life had been meaningless and that all the horrible things I had done could not have been as awful as I felt at that moment. I vowed that no matter what I would change my ways and my life for the better and that I would never hurt another person again and I haven't since. Unintentionally I have in relationships but never for gain or profit or selfishness and it has never lead me astray. Biggest shift was when my oldest dd was born. I must say that I've had several shifts in my life. Indeed, my life is pretty much defined by exactly that; shifting, waking to a new perspective, hitting rock bottoms and becoming all the stonger for them; stretching and growing, becoming more finely attuned to my calling, etc. etc. I would say that the most impactful shift for me was when I decided to end my engagement, while 10 1/2 weeks pregnant. That shift is still unfolding and my son is now 2 1/2. It has been terrifying and joyful and wondrous and growth-inducing and countless other things that are still manifesting. It will be interesting to see what the next shift will be! I follow, and a big shift for me was when my Mom died. Ever since I watched the secret, I've been experiencing a shift. I was highly depressed and I think I thought myself out of it. My email is visible in my blogger profile. Thanks for a great giveaway! I follow Ascending Butterfly on Facebook. Thanks! Trish Froehner. I'm a member of your Ning group. Thanks! Patricia Froehner. email in google profile. I'm an email subscriber. Thanks! email in my profile. I had a shift in my life a few years back when I was injured, I lost my job soon after, I lost what I thought was my soulmate, and things just kept on gowing down hill . I was so depressed, I didn't eat, didn't sleep and basically I gave up on life. Not a good place to be. Posted your button on my blog on left bar. Follow @Tracey Inglesius on Twitter. Follow Hat House Radio on twitter. 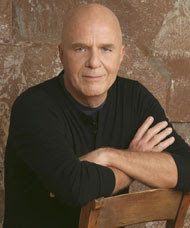 Follow @Dr. Wayne Dyer on Twitter. Fan of Dr. Wayne Dyer on FB. Fan of Ascending Butterfly on FB. I have had so much heartache for 5 years ,since the passing of my oldest son and then with the passing of my youngest son last March. I know that blogging helps and now with the nicer weather I can get out more.I always kept everything inside and I am starting to talk more,blog and helping me through. Its not a place I want to be and I can't change what has happened ,I know its out of my hands.For the rest of my life I will live with out my 2 sons,at least I have the memories. My shift occurred 5 years ago when I realized that I did not NEED to stay married. Follow you publically on GFC. I had a shift in my life when I picked up and moved out of California. My life is currently going through a shift.